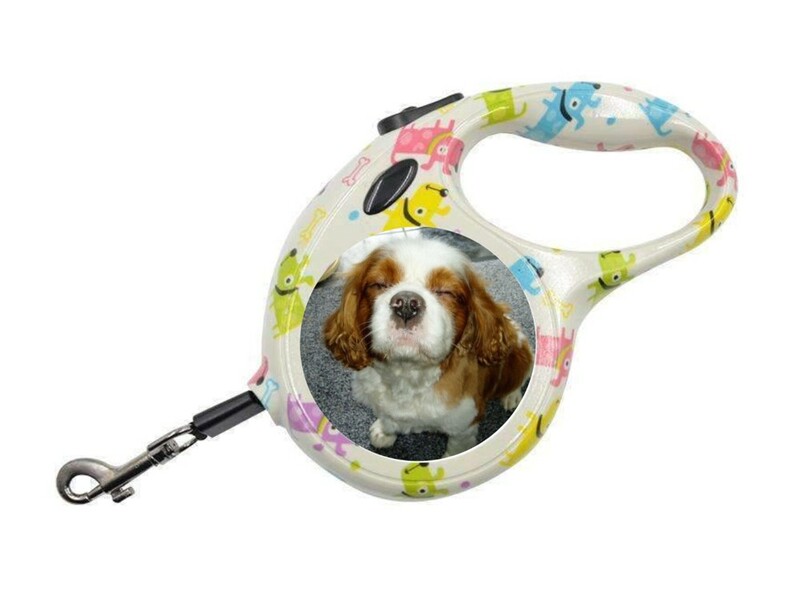 Personalised Small Multicoloured Dog Design Retractable Dog Lead. Retractable pet lead with metal clip and quick lock function. The traction rope length is 16 feet and the rope diameter is 0.6inch. The maximum tension is 110lb. The lead holder itself measures 17 x 11cm. You can have a photo printed on both sides of this fantastic lead and it comes individually boxed. This is a unique fantastic gift for any dog lover! Simply upload your two images and we will get creating!